The 126th Annual Meeting of the Japan Forestry Society is scheduled to be held at Faculty of Agriculture, Hokkaido University in Sapporo, Hokkaido. Additional information including transportation will be posted on the Journal of the Japanese Forest Society Vol. 96, No.4 (scheduled to be issued in early August, 2014) and the Meeting website. At first, click left bottun to register your personal information. Applicants who wish to make a presentation are requested to apply for both "The 126th Annual Meeting of the Japan Forestry Society" and the "presentation" referred to in paragraph 3 below. The registration for the Meeting and banquet can be done online at the Meeting website. The application for the Meeting through e-mail cannot be accepted. Kindly requested to pay the registration fee online by the date stated below. Alternatively, applicants who prefer to pay by bank transfer of Japan Post Bank, please check the check box of "Bank transfer of Japan Post Bank" on the web page and make a payment not later than the date stated below. Once the Meeting secretariat confirmed the payment, online registration of the abstracts manuscript becomes available. When the payment is not confirmed by the due date, the presentation is considered to be canceled. Onsite registration is available. However, the registration desk might be crowded and take time for the procedure. In addition, the number of onsite registration exceeds more than we expected, the program and abstracts might become insufficient. Accordingly, please make an application by the due date. To register presentation online, go to the JFS website (https://www.forestry.jp/)and fill the necessary information between October 28, 14:00 and November 20, 17:00, 2014. More details will be posted on the Meeting website (scheduled at beginning of October). Registrations are only accepted online. Please note that the payment of the registration fee is required by the deadline stated above to register your presentation. The speaker should be a lead author. The presentation as a lead author is limited to one including Symposium, excluding the award presentation. Authors, affiliation, and title cannot be changed at the presentation. Accordingly, we encourage speakers, especially students, to apply after fully consulted with co-authors. The presentation should be on forest science and the results and conclusions must be obtained by the closing date of the manuscript submission for the abstracts (January 15, 2015). Presentations will be made in the oral session, poster session, and the symposium (the symposium having a specific theme and the cross-disciplinary symposium). Speakers who applied for presentation may choose either oral or poster presentation, however, the presentation style they choose may be changed due to the availability of meeting rooms. The symposium is organized and applied by the JFS members. Starting from the 126th Annual Meeting of the Japan Forestry Society, the symposium is divided into (1) the symposium having a specific them and (2) the cross-disciplinary symposium. The details of approved symposiums will be posted on the JFS website (scheduled in late September). The JFS members who wish to make a presentation in these symposiums are requested to apply for the presentation. LCD projector will be used for the Oral presentation. OHP is not used. Only the JFS members (as of 2015) are able to make the oral, poster, and the symposium presentation. Non-JFS members are invited to become a member of JFS through the website (https://www.forestry.jp/). 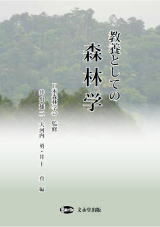 Thirteen research areas: forestry policy, landscape management, forest management, silviculture, forest genetics and tree breeding, tree physiology, forest ecology, forest environment, forest disaster prevention and hydrology, forest engineering, forest insects and animals, forest pathology, non-wood forest products, will be set up in the 126th Annual Meeting of the Japan Forestry Society. When selecting the research area, please refer to the following keywords. In the 126th Annual Meeting of the Japan Forestry Society, the symposiums, which is planned by the JFS members who served as coordinator, will be divided into (1) the symposium having a specific theme and (2) the cross-disciplinary symposium. Accordingly, applicants are invited to apply (1) or (2), respectively. This 3-hour symposium having clear and precise integrated theme. Speakers will be determined by the JFS coordinators. The main objectives of this symposium are to promote exchanges of ideas among the JFS members on cross-disciplinary theme that has not covered by existing research areas. This session may have both oral and poster presentations. Speakers will be selected from the applicants and the presentation is scheduled as the same way as the existing research areas. This is an open-ended session. However, the number of presentations and session time might be limited or shortened due to the availability of the meeting rooms. The JFS Student Poster Award is given to the JFS student members who made an excellent poster presentation at the Annual Meeting of the Japan Forestry Society. The poster presentation whose lead author is one of the JFS student members and applied for the JFS Student Poster Award at the time of application is nominated for the Award. We encourage the JFS student members to nominate their posters. We also ask supervisors to encourage the JFS student members to participate in this meeting. The abstracts manuscript should be submitted online by the due date. For online manuscript submission, go to the JFS website (https://www.forestry.jp/) and take the necessary procedure. Online manuscript submission become available after the JFS secretariat confirms the payment of your registration fee. Please be advised that the bank transfer of Japan Post Bank process will take about 7-10 days. For information about how to create a manuscript, please see "Guidance for creating manuscript" on the JFS website. Regarding online manuscript submission, please see our website. Only applications submitted online will be accepted. The registration for the Meeting database should be made online along with the application of the presentation. The Meeting database serves as the abstracts. Further details on how to submit will be posted at the website. Only applications submitted online will be accepted. The Meeting database will be open to the public on the website about one month before the Meeting. The 126th Annual Meeting of the Japan Forestry Society is planning to set up a nursery room available for any participants. The details about number of nurses and fees will be decided according to the number of applicants.